Travel First Class at shuttle rates and less! 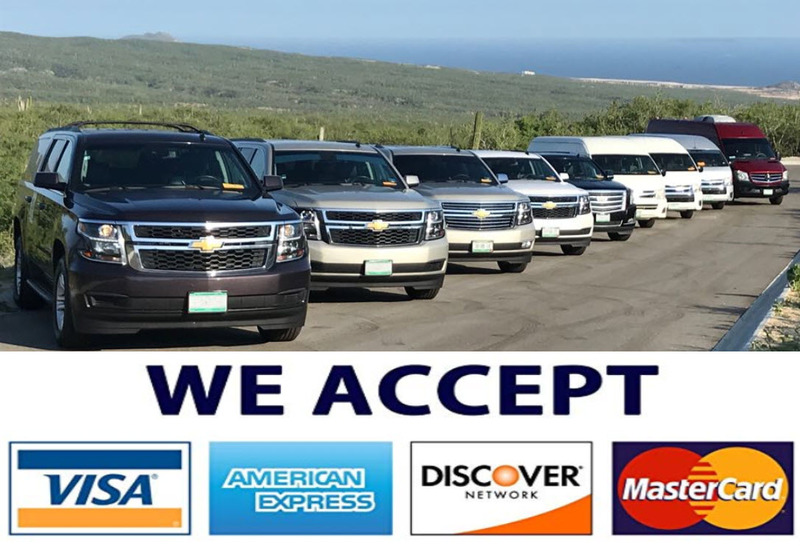 Don't burden yourself waiting for a bus load of people to load/unload or making vacation consuming stops at the many resorts between the San Jose airport and your resort in Cabo (30-40 minute trip). With our private transportation option you will be greeted personally just outside the terminal by our friendly and professional driver. For easy identification, he will be holding a sign with you name on it! Cold drinks and a safe, direct ride to your resort await you. You deserve the best, but only at our great prices. Rates are per vehicle, not per person.